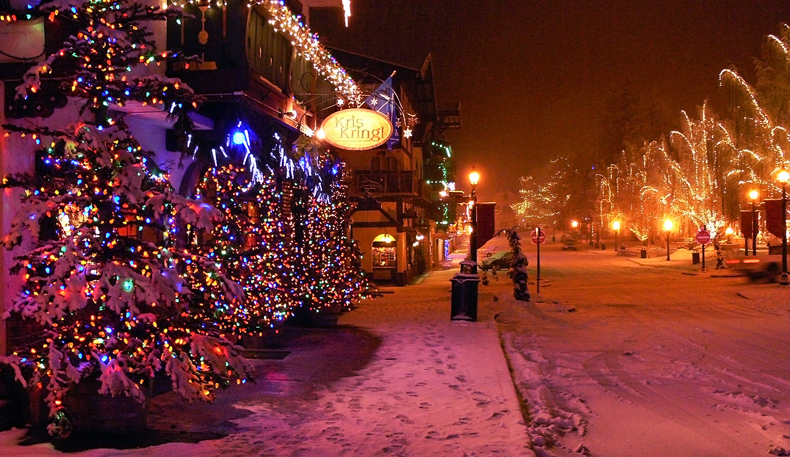 The little town of Leavenworth is situated in the ‘American Alps’,or the North Cascade Mountain Range in Washington State. In the sixties a ‘consultant’ was brought in to develop an identity for the town to make it commercially viable. And so we have Christmas all year round.